The skies are grey over the Mother City on Thursday, but you won’t catch the locals complaining. 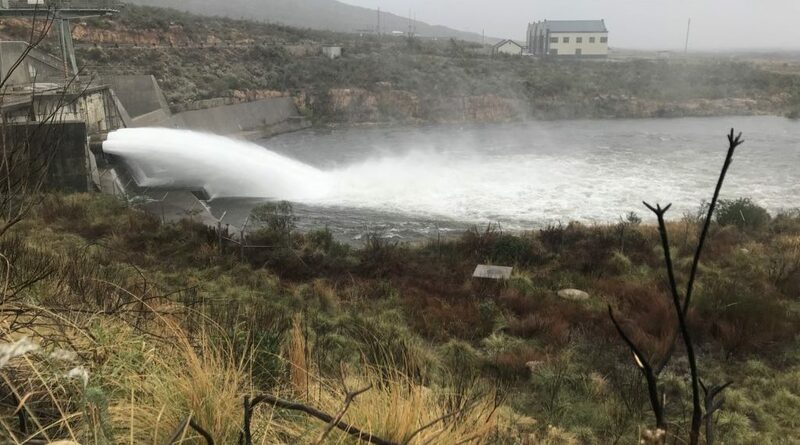 The Cape Town dams are currently on course to receive a large dose of rainfall in the evening. The good news doesn’t just involve the weather though. Following a dry start to the week, combined water levels for the municipality’s dams have shown an improvement over the last 72 hours. On Monday, the average was 58.8% of the total capacity. Significantly, that figure has now broken the 59% barrier, as the incoming downpours look set to take that number into the sixties next week. Berg River Dam – up 0.4% to 88.7%. Steenbras Lower – up 2.3% to 61.4%. Steenbras Upper – up 0.8% to 102.1%. Theewaterskloof – no change at 43.5%. Voelvlei – up 0.7% to 63.6%. Wemmershoek – down 0.2% to 83.1%. 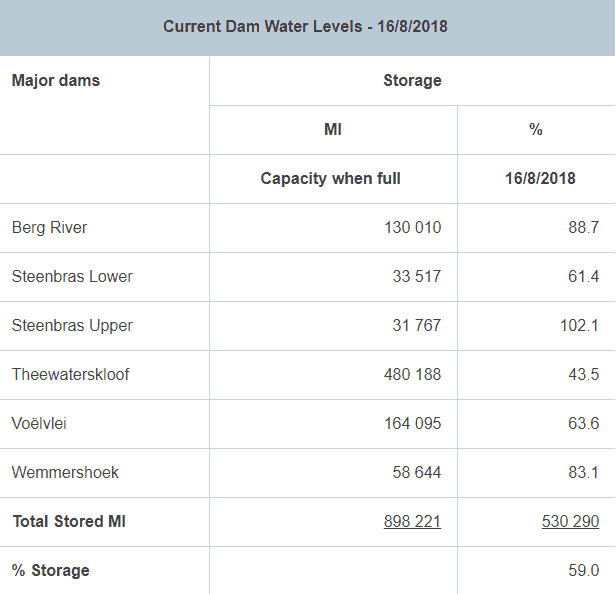 Despite noticeable gains across a majority of the dams, the City of Cape Town insist that the water levels have only increased by 0.2% in total. This is a conservative estimate, but further precipitation is ready to hit the Berg River, Steenbras and Theewaterskloof catchment area this week. In fact, you’re probably looking at that table and wondering how the dam levels are still averaging below 60% despite some being nearly full to capacity. Only Theewaterskloof is under that mark, but that’s the problem. The Villiersdorp-based facility is by far the largest of the municipal dams. So if that’s struggling – which, despite a huge recovery, it’s not yet out of the woods – the rest of the city will be at a disadvantage, too. A weaker cold front is on course for the Cape on Sunday, with heavier downpours expected six days later. However, forecasting rain for the Mother City is no easy task. Weather systems due to hit the coast have been pushed south recently, resulting in incoming rains “missing the target”. Every drop counts in the battle to quash day zero for good. Capetonians are advised to keep saving water and adhering to the usage limits of 50 litres per person, per day.